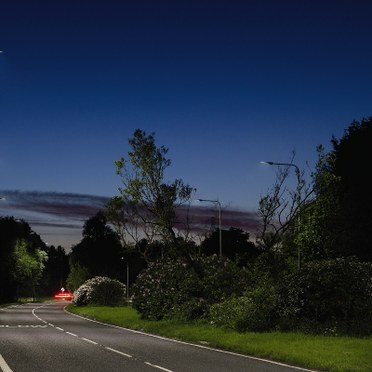 Lancashire County Council wanted to reduce the cost of energy and maintenance for its street lighting by upgrading lighting across the county. The project included everything from small residential roads to major traffic routes, seeing existing HID, SOX and SON fittings replaced. The project had to achieve the appropriate light levels, while increasing energy-efficiency and reducing operating costs and carbon emissions, with the ability to save even more energy by part-night dimming of the light fittings. The council issued an invitation to tender, which sought a lighting solution with the best whole-life cost over a period of 25 years, taking into account unit cost, energy consumption and replacement cost. The design requirements were also very specific and subject to British and European standards, which meant that the quality of light had to meet the required levels without exceeding them. Thorn Lighting won the bid against various other manufacturers and became the sole supplier for the entire scheme. 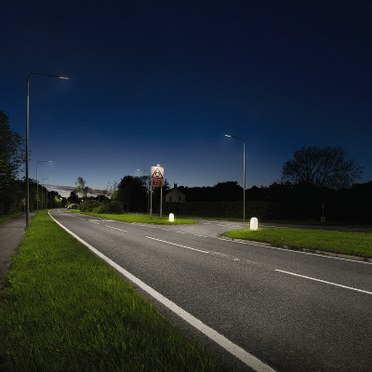 Thousands of Thorn’s CiviTEQ, FleXity and R2L2 road lanterns have been installed across Lancashire. Thorn’s engineers were able to provide efficient solutions for the various lighting design scenarios, whilst also meeting all of the stringent requirements for the project, including warranty, lead times and after sales support. In addition to replacing existing fittings, Thorn’s luminaires have also been used in some of the new installations. Thorn’s CiviTEQ is a cost-effective LED road lighting solution that balances cost of ownership and performance. The luminaire is fitted with Thorn’s innovative R-PEC® optic to bring safe and efficient light to residential streets and high traffic roads, with two size options up to 17klm and 12 precise light distributions, CiviTEQ adapts to any installation layout. It is available with a comprehensive range of controls including programmable bi-power functionality to activate or deactivate dimming on site. FleXity is a versatile and modern post-top LED lantern that offers a fast return on investment for city space and amenity lighting, with a 100,000-hour maintenance free life and low cost of ownership. FleXity has dedicated optics, integrated bi-power dimming and a choice of protectors, clear for optimised performance and diffused for greater visual comfort. R2L2 is an attractively proportioned LED road lantern at the forefront of LED technology. It delivers class-leading performance with outstanding uniformity which provides an even distribution of light on the ground. Thorn’s factory in County Durham has manufactured and delivered more than 49,000 lanterns for this contract, all on time and in accordance with the customer’s requirements. More than 20,000 more are due to be delivered over the coming months. 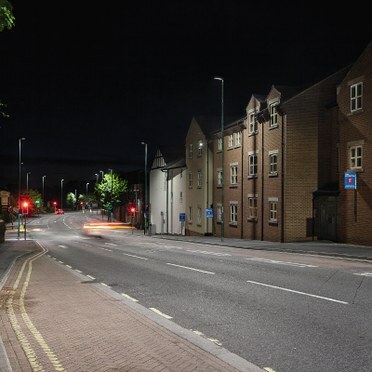 The new lighting from Thorn has reduced maintenance and created a distinctive urban lighting design for Lancashire. Thorn achieved this through the deployment of highquality, lowenergy, lowmaintenance luminaires that use the very latest LED technology.